Posted on October 17, 2018 by Samantha Feczko. This entry was posted in Eating Well and tagged eating well. Bookmark the permalink. 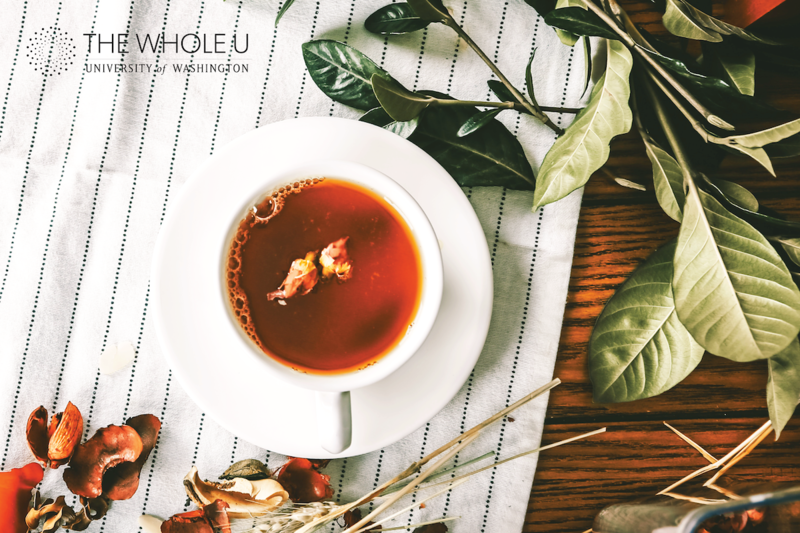 As the days grow shorter and the air becomes more crisp, fall starts to settle in and that means it’s time to get cozy with a cup of tea. 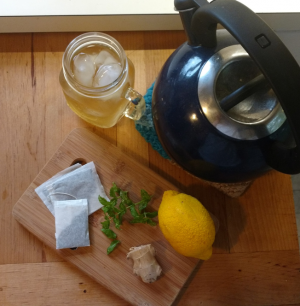 Sounds great in theory, but this coffee-drinking science-minded dietitian would like to know more of the facts before dipping her toes into the world of tea drinking. 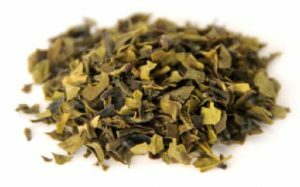 To start, what makes green tea green and herbal tea herbal? These are the questions that keep me up at night. Black, oolong, green and white teas are all made from the same plant, Camellia sinensis. The main differences between the teas come from how they are treated and prepared. Most teas undergo a four step production process that includes: withering, rolling, oxidation and drying. Withering is the drying phase where leaves are allowed to air dry. Rolling is the process where leaves are rolled into the long thin shape we often see with loose leaf tea. Rolling also causes some damage to the leaves that initiates the oxidation phase. Oxidation is the chemical reaction that occurs when the interior of the tea leaves are exposed to oxygen, resulting in tea’s brown color and distinctive taste. The last step is drying where leaves are dried and water content is further reduced. What makes black tea distinctive is that these leaves are allowed to fully oxidize and become dark brown in color and develop its strong flavor. An eight ounce cup of black tea contains about 47 mg of caffeine, about half the amount of a cup of coffee. Unlike black tea, leaves destined to become green do not undergo oxidation, allowing them to retain their green color and light fresh flavor. Because green tea is minimally processed, it is thought to have many health benefits due to its higher flavonoid content. An eight ounce cup of green tea contains about 28 mg of caffeine. Oolong finds itself in between black and green teas in that it is partially oxidized and can be closer in flavor and color to black or green teas, depending on how oxidized it is. Oolong leaves also vary in shape as they can be rolled like the other teas or curled into balls. 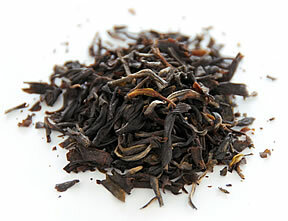 The caffeine content of oolong is similar to that of green tea. White teas are the least processed of all teas and often have the lightest and freshest taste. Leaves destined to become white tea are picked earlier than other types of tea while the leaves have not fully opened and have the little white hairs that give the tea its name. 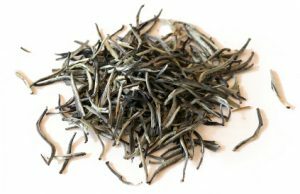 White tea leaves are also not rolled or oxidized but are only quickly dried to retain their fresh flavor. The exact amount of caffeine in white tea is difficult to determine since white tea leaves are often mixed with green tea. 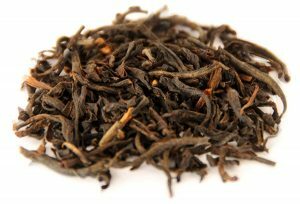 However, young tea leaves contain higher amounts of caffeine than green tea. Herbal tea is not a true type of tea in that it is not made from the same plant (Camellia sinensis) as the teas listed above. 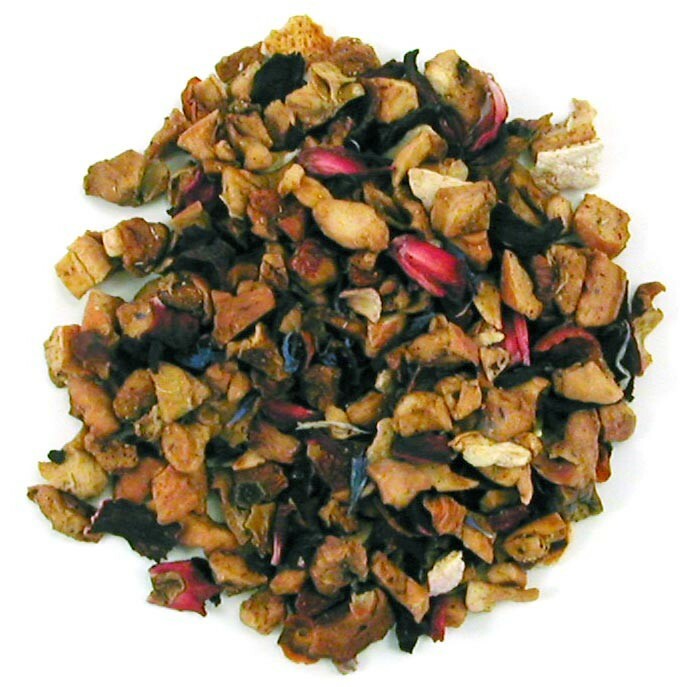 Instead, herbal teas are a blend of different leaves, fruits, flowers, spices and herbs. Most herbal teas are caffeine-free. Once boiling, turn off heat and add 4 tea bags. Let steep for at least 5 minutes or until you remember it’s still there. Pour tea into pitcher and fill with water until desired strength. Pour tea over ice or store in the refrigerator. – Add 4 bags sof the same flavor of tea or mix and match. My favorite flavor combinations are green tea and mint or raspberry and spicy ginger. – Try adding real mint leaves when using mine flavored tea or grated ginger with raspberry with fruit flavored teas. 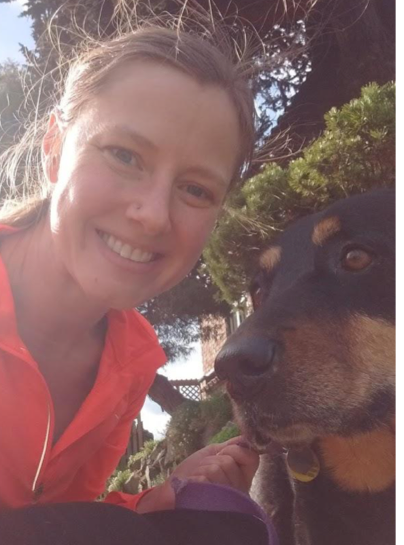 Samantha Feczko, RD, CD, CNSC, is a registered dietitian at University of Washington Medical Center that, when allowed to escape from the hospital, enjoys spending time with her pets, gardening, reading and going on adventures with her husband. Note: in this article, many websites and organizations are linked; none of these websites or organizations are affiliated with or endorsed by the University of Washington.